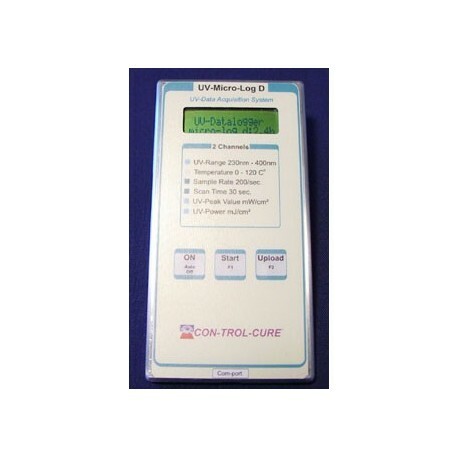 The CON-TROL-CURE UV-MICROLOG D MICROLOG RADIOMETERS are extra thin (only 1/4 flat) self-contained UV data logging radiometers. This revolutionary unit is perfect for fitting into UV curing systems that bulkier models cannot. Contained in its sleek case is a sophisticated microprocessor that measures UV Intensity (mW/cm), UV Dose (mJ/cm), and Temperature. The resulting measurements can be viewed 2 ways: either numerical results via the on-board display or downloaded through a USB computer link. Once the measured data is downloaded to a computer, you are then able to show a graphical representation of the UV Intensity Profile, the Peak Intensity, the Total Dose, and Temperature. All Micrologs have re-chargeable batteries and come with a battery charger. An Auto Off function shuts down the unit after one minute of inactivity to save battery energy. Special data acquisition software is included with each unit. 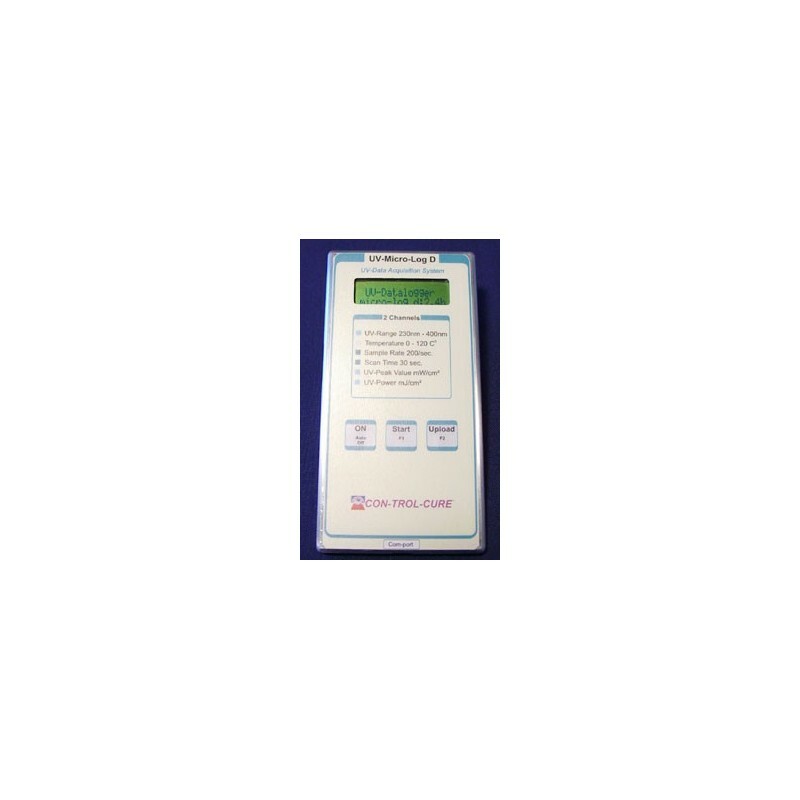 This unit is available with the LCD (M007-106), or without. The UV-Microlog 6 (M007-107), the unit that is without an LCD, connects to a computer to display its readings. While on the conveyer belt, the UV-MICROLOG D can withstand 110C (230F) for up to 10 seconds. The temperature of the housing should not exceed 45C (113F).